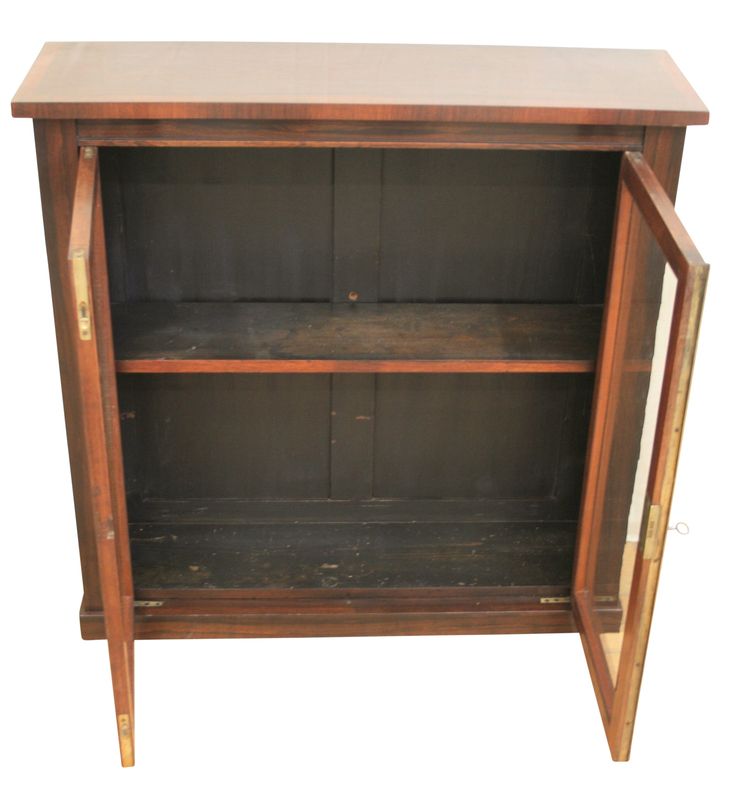 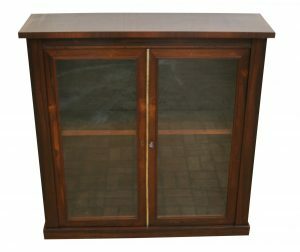 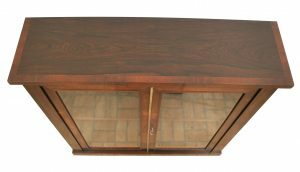 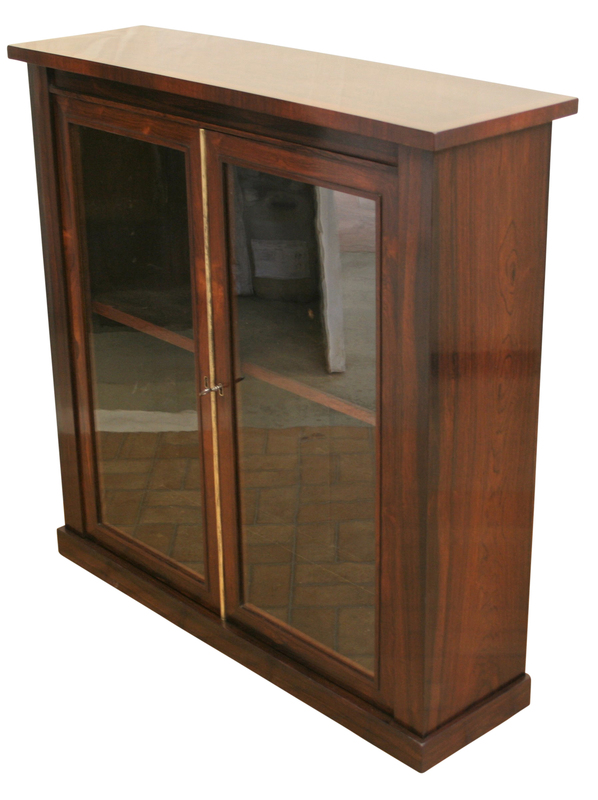 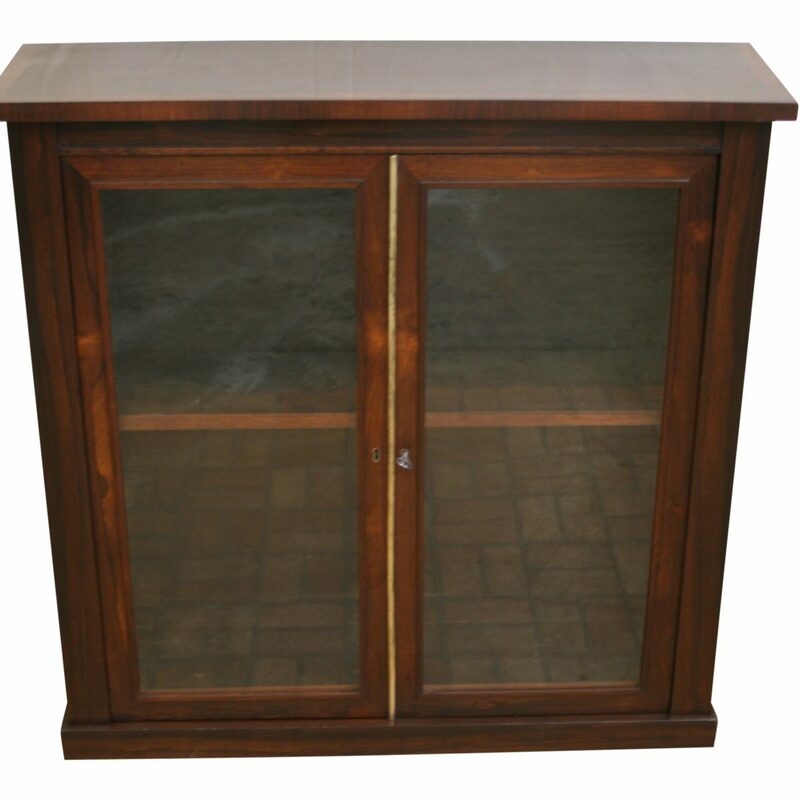 A Regency Rosewood two door pier cabinet. 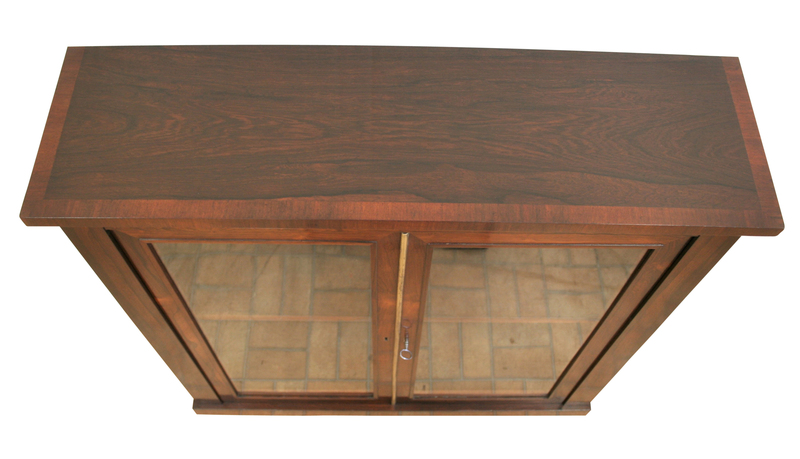 The top has a cross-banded detailing to the front and sides. The door opens with a working lock and key and has a brass astragal moulding to the centre. It has one shelf which is adjustable on pegs and is raised on a plinth base.